Chances are that you or people you know and care about have been affected by cancer. When cancer strikes, you may be bombarded with terms that you have never heard of before. We are here to help you learn the basics of cancer to help you feel more prepared. 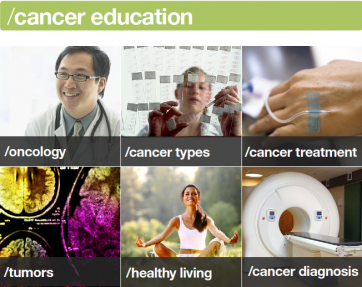 The “Education” section of Know Cancer is segmented into the following categories to help you navigate this broad landscape. Did you know there are over 200 different types of cancer? Each of those 200 types of cancer is very unique. When someone has cancer, it is identified by stages which is determined by the size, location, and behavior of the cancer. Head over to the education section to read more about the different types of cancer. The branch of medicine concerned with the diagnosis, treatment, and follow-up care of patients with cancer is called Oncology. However, when you are talking to someone about what form of cancer they have, they are likely to describe the oncology classification of cancer. Read more about the Oncology Classifications of Cancer. When you think of cancer does it automatically make you think of a tumor? Many cancers are tumorous, but not all tumors are cancerous. Today, we associate the term tumor as the word to identify a structure caused by abnormal tissue growth. You may also hear the term “neoplasm” when referring to a tumor. However, not all forms of neoplasm are tumorous, for example, leukemia. Find out more about the nature and symptoms of tumors. Yes! It’s true what they say. Prevention and early detection are the most important ways to fight cancer. It is incredibly important to find it before it spreads. Especially because some types of cancer can be found before they cause any symptoms. Screening is a way to check for cancer in people who have no symptoms. However, not all types of cancer have screening tests. For those that do, screening can help doctors find and treat some types of cancer early. After the patient has gone through physical examinations there are many tests that can be used to definitively diagnose a cancer. The tests that will be preformed will depend on the location of the cancer. You can also check out our directory to find cancer imaging and screening companies. Cancer treatments are usually very unique to the patient…and various treatment methods may be used to treat cancer. Depending on the classification of cancer and what stage it is in, the treatment is then determined by a patient and their doctors. Some traditional forms of therapy are surgery, chemotherapy and radiation therapy. With the advancement of medical technologies, there are new forms of treatments being created daily. Learn more about the various types of cancer treatments. No one expects cancer to hit so close to home. There is more and more information being studied every day. How prepared are you?